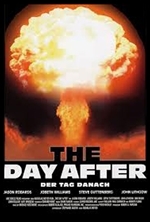 The Day After is an American television film that first aired on November 20, 1983, on the ABC television network. It was seen by more than 100 million people during its initial broadcast is currently the highest-rated television film in history. The film postulates a fictional war between NATO forces and the Warsaw Pact that rapidly escalates into a full-scale nuclear exchange between the United States and the Soviet Union. However, the action itself focuses on the residents of Lawrence, Kansas and Kansas City, Missouri, as well as several family farms situated near nuclear missile silos. The cast includes JoBeth Williams, Steve Guttenberg, John Cullum, Jason Robards, and John Lithgow. The film was written by Edward Hume, produced by Robert Papazian, and directed by Nicholas Meyer. President Ronald Reagan watched the film several days before its screening, on November 5, 1983. 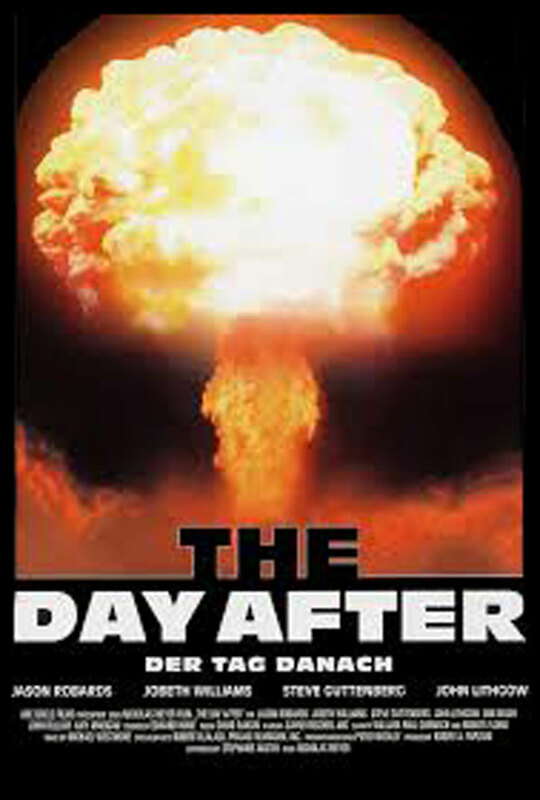 He wrote in his diary that the film was "very effective and left me greatly depressed," and that it changed his mind on the prevailing policy on a "nuclear war".